today Gpg4win version 3.1.3 is released! Independent cybersecurity researchers found nearly double the number of vulnerabilities in SCADA systems in the first six months of 2018 as they did in H1 of 2017, according to a new report by Japanese multinational Trend Micro, amid rising concerns about infrastructure security. A flaw in the web platform of Fiserv Inc., a technology services provider for financial institutions, reportedly exposed personal and financial account information on hundreds of bank websites. The vulnerability was discovered within its one-way messaging feature. Researchers at Comparitech.com have published an interesting analysis to help determine if, as Donald Trump has claimed, Google search results favor left-wing media outlets that publish negative news about him. IFA, Berlin – August 30, 2018 — NETGEAR®, Inc. (NASDAQ: NTGR), the worldwide leader in home networking and smart home security products, is announcing the availability of a new service, NETGEAR Armor™ powered by Bitdefender®, designed to provide comprehensive network security for any device connected via a NETGEAR router. Shannon Ireland, Aug. 31, 2018 – InvisibleShield®, a ZAGG Inc (NASDAQ:ZAGG) brand and the leading global innovator in screen protection, today announced a strategic partnership with Healthe®, a health-driven company developing products that block high-energy visible (HEV) blue light from digital devices. The partnership will allow InvisibleShield to infuse Healthe’s innovative EyeSafe® technology into its screen protection solutions, safeguarding consumers not only from a shattered screen, but the damaging effects of harmful HEV light as well. (Kanazawa, 30 August 2018) Researchers from Kanazawa University report in Journal of Neuroscience performed a microdialysis study on mice to determine mechanisms underlying the inflammatory response in the brain associated with fever that might be used to develop new strategies for treatment. Employees at a digital consultancy firm are flying high after receiving their NVQ diplomas from the UK’s leading drone training experts. 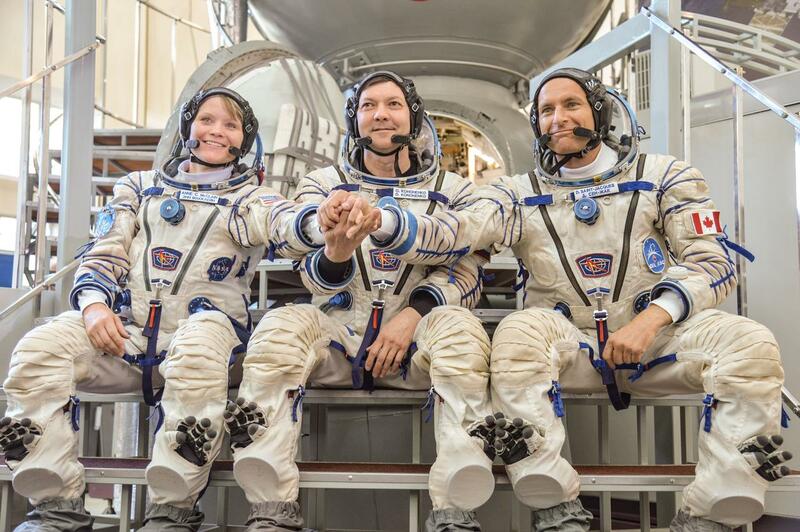 Expedition 58 crew members Anne McClain of NASA (left), Oleg Kononenko of Roscosmos (center) and David Saint-Jacques of the Canadian Space Agency (right) pose for pictures May 10 following their final Soyuz spacecraft qualification exams at the Gagarin Cosmonaut Training Center in Star City, Russia. NASA astronaut Anne McClain, along with her crewmates, Davis Saint-Jacques of the Canadian Space Agency and Oleg Kononenko of the Russian space agency Roscosmos, will discuss their upcoming mission to the International Space Station in a news conference at 2 p.m. EDT Thursday, Sept. 6, at NASA’s Johnson Space Center in Houston. Building your own aircraft allows you to truly personalize an airplane specifically suited to your needs. Zenith Aircraft Company offers you more choices than ever before! Our job is to help you achieve your dreams and to help you build the aircraft that you want to build and own.